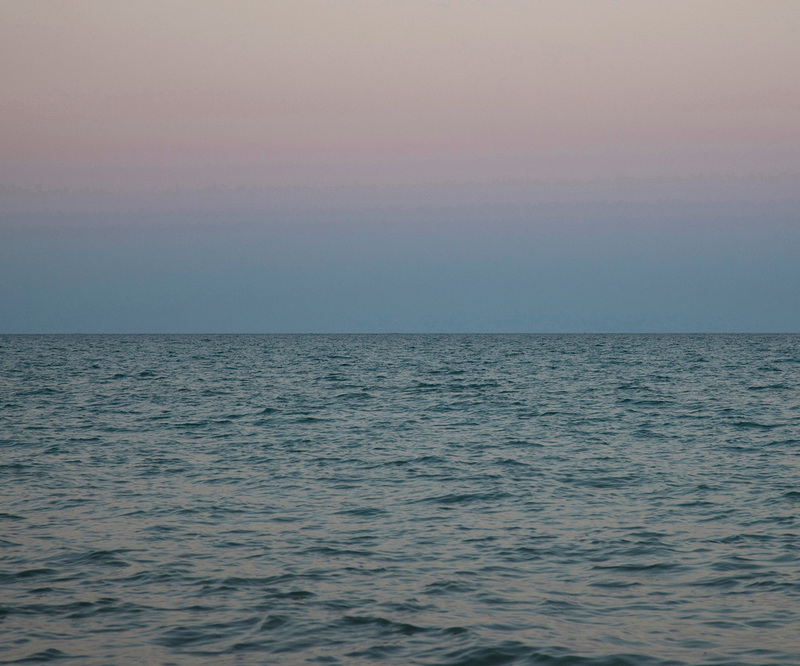 Perimeter was a project commissioned by the Haggerty Museum of Art at Marquette University, which invited me to create new work addressing the topic of fresh water and the Great Lakes. I chose to specifically examine Lake Michigan, which holds great presence in my own community of Milwaukee and borders the states of Wisconsin, Illinois, Indiana and Michigan. 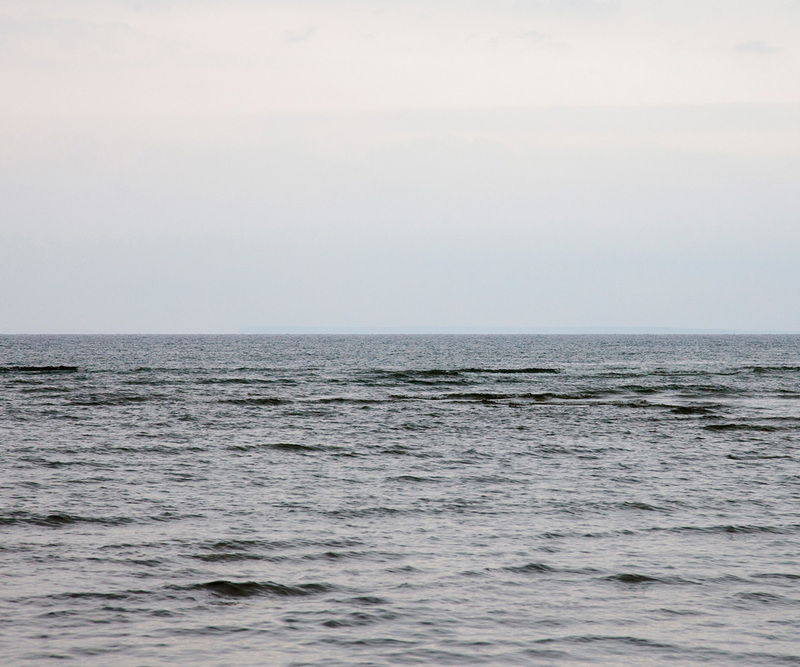 It’s the largest lake contained solely within the United States and the fifth largest lake in the world. Lake Michigan’s significance as a source of fresh water has never been more important in political, social and environmental terms. In Milwaukee, the lake has been the impetus for growth in academic, environmental and business interests, as the city positions itself as a hub for knowledge and growth in the area fresh water research. 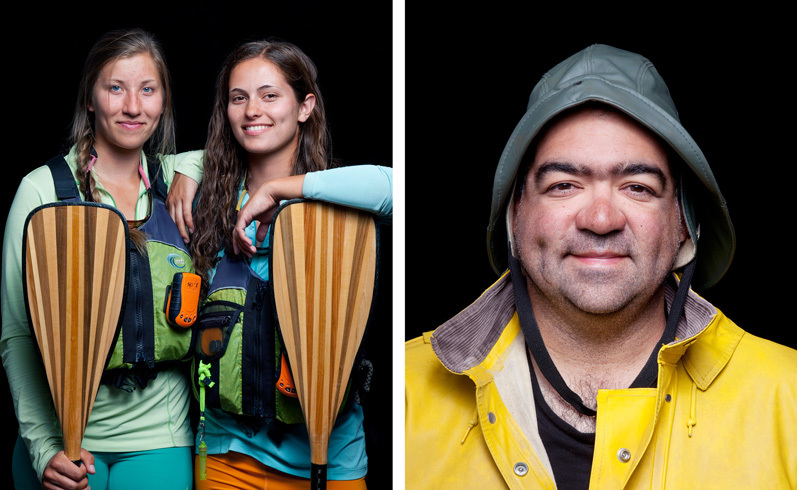 My aim with Perimeter was to capture a contemporary portrait of the lake by photographing people whose lives are closest to it. 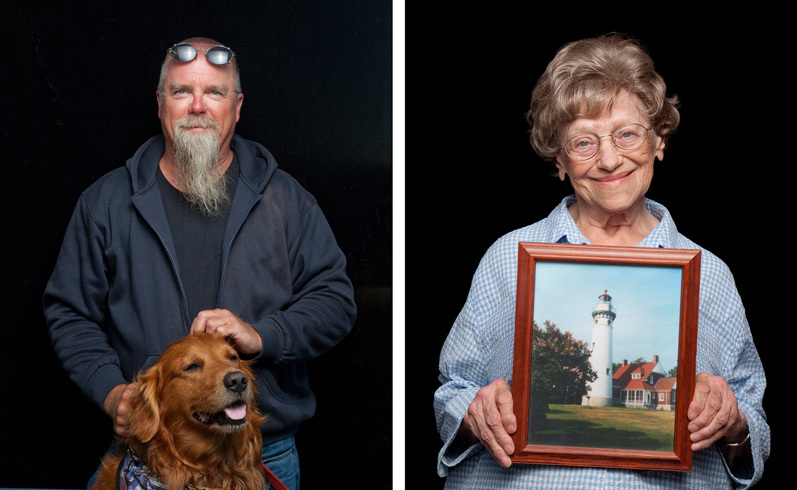 I've photographed a diverse group of individuals who all have connections to the lake: residents, beach-goers, scientists, dock workers, environmentalists, artists, community leaders, commercial fishermen, ferry captains, boat builders and surfers. 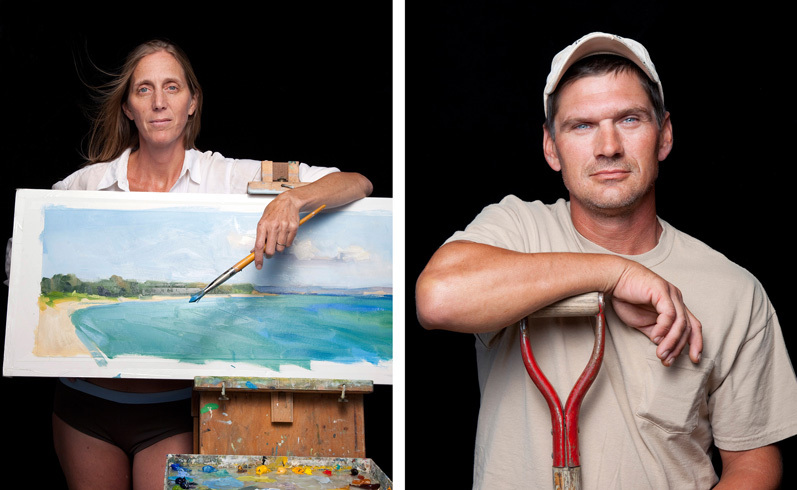 The majority of nearly 300 portraits were made during a two-week, 1800 mile drive around the lake’s perimeter. I traveled with a portable studio which I set up on beaches and in parks, on boat docks and in back yards. Sometimes I photographed groups of individuals in the same location, and other times I set up to photograph just one person. There were some specific, compelling subjects I’d identified in advance, but most in the project are people I simply met while traveling. The drive itself was an investigation of access, as I attempted to follow the actual lake perimeter as closely as possible. I stayed off all interstate highways and stuck to small state and county roads in search of water. At times it was easy to find, but often it was not. I created a series of waterscapes at access points, a visual log of my trip. Perimeter was on view as a solo exhibitions at the Haggerty Museum of Art in 2013 and the Dennos Museum in Traverse City, Michigan, in 2015. The Wisconsin Historical Society Press published the book, Perimeter in 2014.